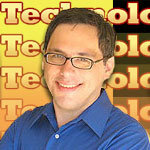 Technologizer: Dell’s Streak--Is It a Huge Smartphone or a Tiny Computer? The Streak is currently available in the UK from wireless carrier O2; consumers who sign up for two years of data-only or data/voice service can get it for free, and it costs about $500 without a contract. Dell intends to bring it to the states later this summer, but hasn’t announced any specifics about pricing or or carrier partnerships. If nothing else, the company deserves credit for being gutsy enough to enter a market with an exceptionally checkered past. The OQO and FlipStart PC flopped, as did Microsoft’s UMPC. Intel’s Mobile Internet Device platform doesn’t seem to be going anywhere, either. Sony’s UX series is history. Archos continues to build mini-tablets that run Windows and Android, but it caters to gadget nerds, not the masses. And yet the Streak is pretty interesting. technologizer gadget, harry mccracken, iphone 4, phone, roomy suv, screen, Tiny, ux series, verizon wireless, voice. permalink.